In general, a retrofit is the process of adding new technology (LED) or features to an existing system. 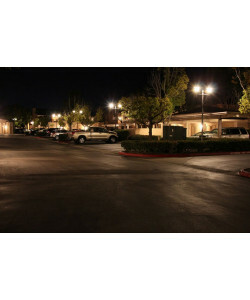 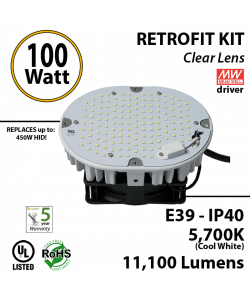 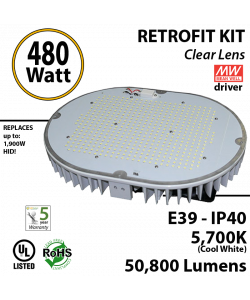 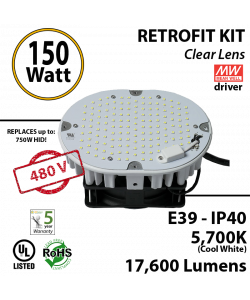 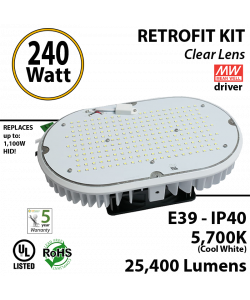 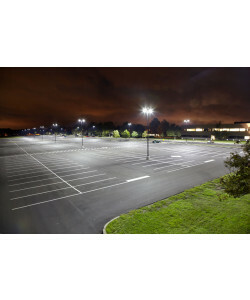 LED Retrofit kits are ideal for situations where the design and layout of the lighting system is satisfactory, but the efficiency of the system needs to be improved to reflect improvements in technology. Our LED retrofit kits come with a regulating angle bracket that allows you to place them inside the fixture in the best possible position. 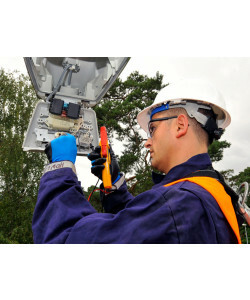 They come with an external driver. And Even though they have an E39 base, this is ONLY for holding it in place: NO ELECTRICITY SHOULD BE CONNECTED TO THIS BASE. 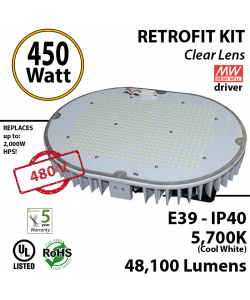 150W LED Lamp Bulb Retrofit, 5700K, IP40, E39, UL.